JJ Kavanagh & Sons has announced its Easter timetable, with a full schedule of services to operate throughout the entire weekend. A normal schedule of services will operate from Good Friday through to Easter Sunday, with some minor exceptions to third level college and local timetables. 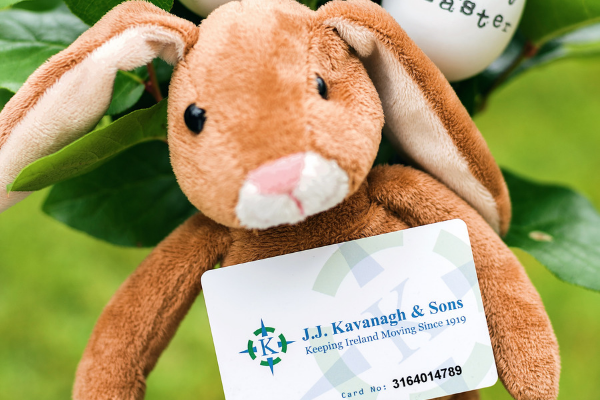 Easter weekend is traditionally one of the busiest periods for JJ Kavanagh & Sons. This includes customers returning home for the Easter break, those heading on getaways and international visitors. Intending customers are advised to pre-book their tickets online for best value fares. Due to the 5k road race and Naas Easter Parade, the main street and part of the Sallins Road will be closed for vehicular traffic between 14.15hrs and 16.15hrs. 13.00hrs service from Blanchardstown will be dropping off at Naas GAA on Sallins Road. 15.00hrs service from Naas will be starting from Naas GAA on Sallins Road, and this will be the first pick point in Naas. Maynooth University services will be finished up for Easter from 12th – 22nd April 2019. We will be back running as normal from Tuesday 23rd April. Carlow IT services will be finished up for Easter from 12th – 28th April 2019. We will be back running as normal from Monday 29th April. There will be two services operating throughout the Easter break. No weekend College Services will be running from Friday 12th to 28th April. Waterford – Galway college service is now finished until September 2019. LIT (Old Cratloe Rd) and Mary I bus services will be finished up for Easter from 12th – 28th April 2019. We will be back running as normal from Monday 29th April. You can also get travel updates on Facebook, follow us on Twitter @JJKavanaghBuses or call our customer service line on (0818 333 222), lines open from 07:00 – 19:00hrs (7 days a week). © 2019 JJ Kavanagh & Sons All rights reserved.